Have you had a chance to reflect on your successes and accomplishments last year? 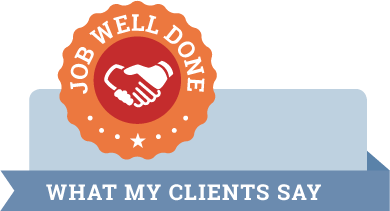 Are you happy with your sales results? Didn’t do as well as expected and you can’t figure out why? It could be your marketing activities are off. Stale. Irrelevant. Inaccurate. Invisible. Your brand message may be not be clear or compelling. Your target market may have changed. 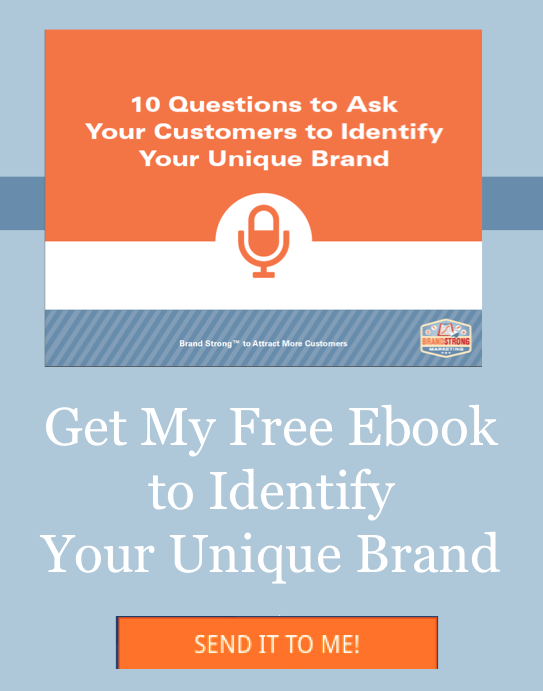 The way to reach your ideal customer may be something you haven’t considered. New competitive offerings may be hard to beat. Be honest, how many of you put a website up 10 years ago and haven’t touched it since? Don’t be ashamed to admit it, you aren’t alone. But if that is the case, your marketing isn’t working FOR you anymore, it’s working AGAINST you. As you take your business forward into the new year, it’s the perfect time to evaluate your marketing efforts to make sure you have all the pieces in place to have a stellar year. Business is constantly evolving – technology changes, customers’ needs change, new competitors crop up, and even the way people buy has changed over time. All of these can lead to ineffective marketing and I don’t know about you, but as a small business owner I can’t afford marketing that doesn’t work to attract new customers or retain the ones I worked so hard to get. If evaluating your marketing isn’t at the top of your to-do list this year, you could be making a mistake. 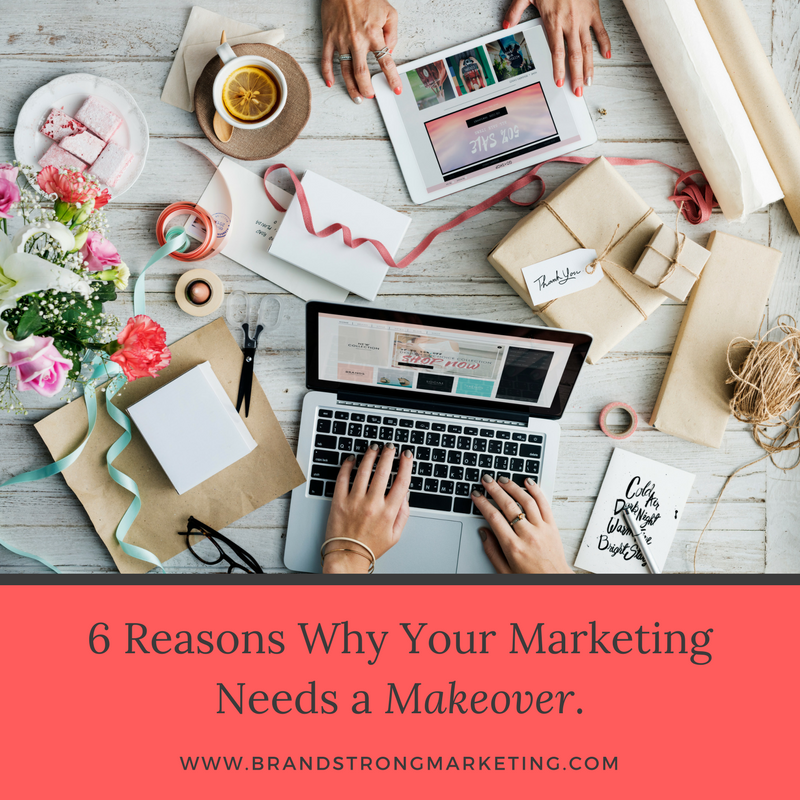 Here are six compelling reasons you should consider a marketing makeover for the new year. The foundation of your marketing – your message and where you share it – is off. Unless you have all the business you can handle and you are absolutely positive that this trend will continue, then you must continually evaluate and update your marketing. Marketing is the way you introduce and promote your product or service to potential customers. Double check both your marketing messages to see if they clearly communicate the value you offer. Then take a look to see if your messages are getting heard. If you are still advertising in a trade magazine that no one reads, you have a problem. There is nothing worse than spending money on an ad or spending time creating an email that your customer never sees. OK, maybe a few things are worse, but not many. The way people shop and consume information has changed. It’s vital for your business that you keep up with the times. More and more people are using online sources to make purchasing decisions or purchase something outright, and this buying is often done on mobile devices. Is your site mobile friendly? Can people buy from your website or even from your social media posts? Is your message being delivered on the platforms where your potential customers are shopping? If not, you could be missing out on a lot of business. It’s like opening a store in the middle of the desert and wondering why no one is showing up for the big sale. No one shops there!!!!! Your business has changed. Is your business the same as when you last updated your website or your brochure? Chances are extremely high that it’s not. As you update your business to reflect industry trends and buying habits, you need to be sure that you are sharing these changes with both your current customer base and with potential customers as well. If you don’t explain all that your business has to offer and why that is important, who will? Have you added new products or services? Do your customers really know all the ways you can help them? Your marketing plan should determine the best way to share your changes with a targeted audience. I have so many customers that are shocked that their existing customers don’t know all of the ways they can help them. But if you didn’t tell them, how are they supposed to know? Technology changes. I mentioned that the way people shop and make their buying decisions has changed, right? Is your message easily found on the platforms that matter to your client base? Is your website easy to navigate, can orders be easily placed. If your website isn’t mobile friendly you are losing business – both because over 60% of shoppers do research on their tablets or smart phones but also because Google’s algorithm thinks your site is dead so you get NO search results. You are essentially digitally invisible. Keep your marketing up-to-date and easy to find and use. It’s harder to grab attention. With all of the messages that assault the senses every day, it’s important to find the best ways to get your message seen. You need to look at where your message is shared, how often you share it, and where you share it. From attention grabbing headlines and strong content, to effective visuals and the use of video, you CAN create a compelling message that will garner attention. You first need to understand how you are different and then be a little creative. It’s harder to hold attention. Once you capture their attention, you need to worry about keeping it. With the prevalence of technology and instant access to all kinds of information, people are more easily distracted. Consumers want information immediately, and if it doesn’t hold their attention, they can be gone with a simple click. Your message needs to be compelling enough to keep their interest. How do you do that? Know what information your customers need, want or crave. Then give it to them. Communicate with them often enough that you stay top of mind with information they really value. Sending an email once every six months when you get some spare time won’t cut it. While all of this sounds daunting and scary, it’s not. It just takes some time to do some research. It means knowing your brand promise well and knowing your customers inside and out. Focus on figuring out who your ideal customer is, where they hang out, what their needs are, and how your product or service is the best solution for them. Once you have that nailed down, a compelling message should fall in place. Then communicate that message to your customers where they hang out – online or offline. If you haven’t made working on your marketing strategy a priority for the year, you are making a mistake. Not sure if your marketing is ready to meet the new year head on? Take my marketing audit. If you need help with taking your marketing to the next level, give me a call so we can help you build a stronger brand that attracts and engages clients.